The Syr Darya (Syrdarya), known in ancient times as the Jaxartes (Yaxartes), is 2,220 km long, flowing through Kazakhstan, Tajikistan, and Uzbekistan. 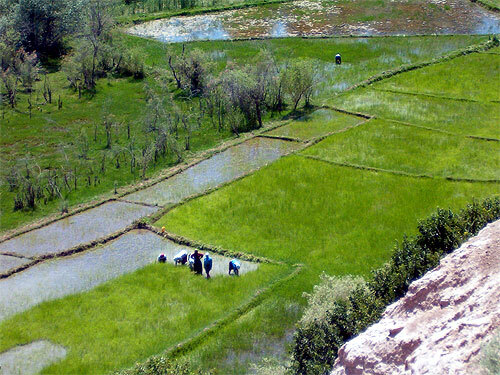 One of the major rivers of Central Asia, it is formed in the Fergana Valley, by the confluence of the Naryn and Kara Darya rivers, which flow from the Tian Shan mountains. It flows through Tajikistan, then through Uzbekistan and Kazakhstan, past Kyzylorda, and into the northern basin of the Aral Sea. The shallowness of the Syr Darya makes it unfit for navigation, but its waters are used for irrigating the important cotton-growing areas along its course, and for producing hydroelectric power. The Syr Darya forms the northern and eastern limits of the Kyzyl Kum desert. 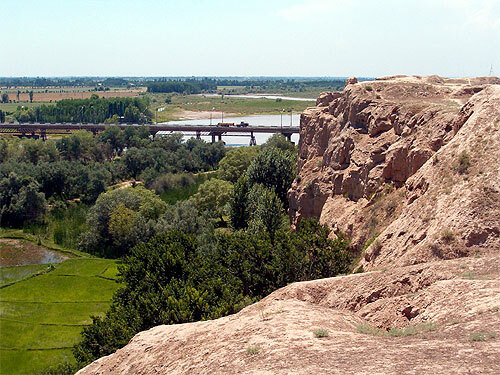 Alexander the Great in his conquest of Persia reached the river in 329 BC and may have founded the chief city on its course - Khudjand on the site of an older city. The Oxus River was the name which the classical Greek geographers (such as Herodotus) used for the Amu Darya (Darya is Persian for "sea"). 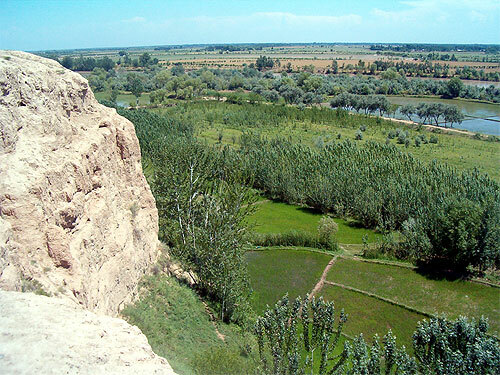 The other major river in the area - the Syr Darya, which roughly follows the border between Uzbekistan and Kazakhstan, was called the Jaxartes by the Greeks. The area beyond the Oxus (from a European or Middle Eastern viewpoint) used to be called Transoxiana (meaning "beyond the Oxus") by the Greeks. Later on, it was referred to as Maworaunnahr (meaning "beyond the river") by the Arabs.